Examined against its actual historical background the verbal violence and intellectual sang-froid with which some of the English Deists and mid-eighteenth century French philosophes often attacked Christianity was a measure both of the shift of mood which was taking place and of the power which the Churches still had to resist it. To argue that the Deists were not 'men of the Enlightenment' is to think too much in terms of a movement with a specific programme: they were an essential part of a shift of feeling and thinking which spread out across the eighteenth century. In societies which, even after 1700, were still recovering from religious war, the rhetoric of the English Deists seemed like a threat to social stability. The Deists have also been reproached on the ground that they failed to appreciate the existential value of what they were attacking: their criticisms of the historical basis of Christianity (John Toiand and Matthew Tindal), of the plausibility of the New Testament miracles (Thomas Woolston), of the traditional argument in favour of Christianity from the alleged fulfilment of Old Testament prophecy in the time of Jesus (Anthony Collins), disregarded (it is said) the functional value of Christian belief and practice in the individual life. The Deists' preference, on the ground of greater certainty and rational clarity, for a 'natural religion' which combined the ideas of a distant Creator and a demanding moral system, ignored (it is argued) and could not equal the personal experience of Christian holiness. Eighteenth-century theological orthodoxy reacted to Deist criticism by presenting Christianity as a 'religion of the heart', in which repentance, faith and the work of the Holy Spirit enabled the believer to 'know' Jesus as crucified personal saviour and Lord. There was a deep eighteenth-century disagreement, however, between Christian and non-Christian about the value of such experiences, because there was a prior disagreement about the proper description of human nature. Some eighteenth-century thinkers rejected the idea of the Fall of Man both at a literal—historical and at a symbolic level, holding that belief in the idea did the individual and society more harm than good. There was a move to disentangle the concept of human nature from Christian theological presuppositions. Although at the close of the century Immanuel Kant restated the view that human nature was evil, he nevertheless argued that it was on good life-conduct rather than on faith in a vicarious atonement that one should rely for salvation (Kant 1934:105-14). Freedom to reject publicly the core of Christian orthodoxy was a major issue for the Deists. Anthony Collins (1676-1729), for example, wrote that the subjects of which men are denied the right to think by the enemies of freethinking, are of all others those of which men not only have a right to think, but of which they are obliged in duty to think; viz. such as of the nature and attributes of the Eternal Being or God, of the truth and authority of books esteemed sacred, and of the sense and meaning of those books; or in one word, of Religious Questions. The assertion was not acceptable, nor did the situation alter quickly: in 1784 Immanuel Kant said that the motto of the Aufklärung was: 'Dare to know: have the courage to make use of your own intellect' (Kant 1964:169), but this attitude led him into deep trouble with his own Prussian monarchy in 1792-4, when he was seeking to publish Religion within the Limits of Reason Alone. Kant was officially accused of using his philosophy to undermine the fundamental doctrines of Christianity, and he abstained from making fresh public statements about religion until the King of Prussia died in 1797. Nevertheless, the partial intellectual displacement of Christianity started well before the philosophes of the great French Encyclopédie (published between 1751 and 1780) first met. It is possible, for example, to present John Locke, as does Bernard Cottret, in Le Christ des Lumières (Cottret 1990:43), as christocentric, but difficult to make him more than a very Latitudinarian Christian. He was privately sympathetic to Unitarian views and reluctant to give Jesus the status of membership of the Godhead (Byrne 1989:44). His dismissal of innate ideas horrified those of his Anglican contemporaries who preferred to believe that people were born with an innate knowledge of God and of a divinely grounded ethical system. In modern terms, Locke was disputing the idea that knowledge of God comes from personal encounter with him in the risen Christ. He did not deny in so many words that God could enlighten the understanding by a ray darted immediately into the mind from 'the fountain of light' (Locke 1823:150), but he said that any claims to such enlightenment had to be tested against the principles of reason as well as the guaranteed revelation of Scripture. It is not the strength of our private persuasion within ourselves that can warrant it to be a light or motion from heaven; nothing can do that but the written word of God without us, or that standard of reason which is common to us with all men. Vicaire Savoyard; it was also the root of the humanizing nineteenth-century 'lives of Jesus'. On the orthodox side, despite, or even because of, the efforts of such different figures as John Wesley (1703-91) and the Northern Italian Catholic, Paul Danei (1694-1745, founder of the Passionist Order), the image of Jesus was gradually imprisoned within the bounds of a static, impersonal 'crucified Christ'. Nevertheless, it can be argued that what enabled the Churches to survive was their ability to engender what people accepted as religious experience. This river ran on, through the devotions of the Passionists in Italy, the holiness movement of the early Wesleyans, and the determination with which French women (much more than men) defended Catholic worship against the Revolution after 1789. Is there any maxim in politics more certain and infallible, than that both the number and the authority of priests should be confined within very narrow limits, and that the civil magistrate ought, forever, to keep his fasces and axes from such dangerous hands? He (or Philo, who seems to represent Hume's position in the Dialogues Concerning Natural Religion) thought that the wisest maxim was to 'give indulgence to several sects', while preserving 'a very philosophical indifference to all of them' (ibid. : 199), and carefully restraining the pretensions of the prevailing sect. The view that in practice the best interests of both the state and the ordinary citizen were served by limiting the influence of religious groups became widespread in the later eighteenth century. The radicals threw more emphasis on ethical behaviour than on 'theological' belief, and so favoured the formation of what in England has been called the 'Hanoverian civic religion', which was more concerned with the ethical style of society as a whole than with the individual's belief in Christian doctrine. Orthodox Christian opinion saw this shift as disastrous, but compulsory clerical subscription to the Anglican Articles was attacked as illiberal in the unsuccessful Feathers Tavern Petition of 1772. This was the logical direction of Locke's thought, but it was as long afterwards as 1975 that the Church of England stopped requiring ordinands and holders of benefices to give general assent to the Articles. Finally, The Ultimate Guide To Walking Meditation. Have You Ever Wonder Why You’re Unhappy Most Of The Time? 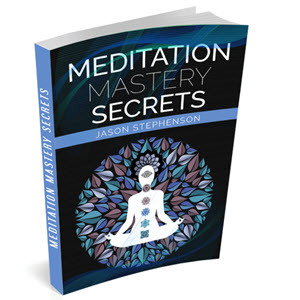 Do You Want To Transform All Your Unhappiness To Absolute Happiness Instantly? Yes! 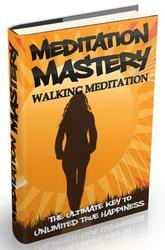 Today You Can Achieve Greater Happiness Through Walking Meditation.